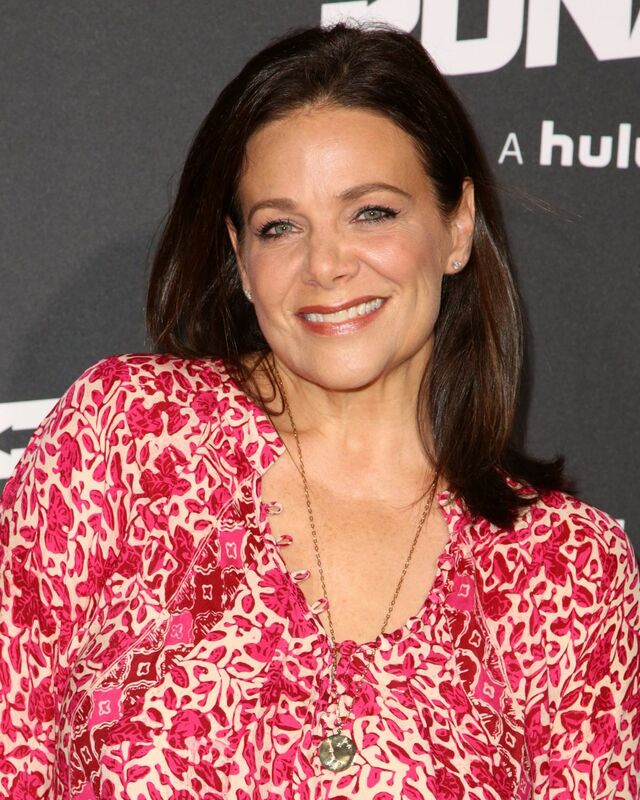 Popular for her roles in the 1985 and 1989 movies, The Journey of Natty Gann and Dream a Little Dream, actress Meredith Salenger’s love for acting began right from when she was a child and growing up never changed it, rather, she chose to make a career of it. Although she has played many roles in her career, she is, for some reasons, one of those actresses who you will always remember you have seen somewhere before but find it hard to figure out where exactly. Her popularity eventually went many notches higher after she got married to one of the most popular American comedians, Patton Oswalt. The beautiful lady was born as Meredith Dawn Salenger on March 14, 1970. She was raised by her parents in Malibu, California, and even though non of them had ever been involved in acting, they always supported her career from the time she was a child. Little Meredith found pleasure in performing for her family and friends and at the age of 8, she attended her first acting class, accompanied by her mom. She later made her acting debut in the film, Annie, playing a small role as a singing and dancing orphan alongside four other young girls. She also featured in some TV commercials. Meredith Salenger landed her first lead role in the film The Journey of Natty Gann and won her first award as Best Actress in a Drama at the Young Artist Awards for her excellent performance in the movie. She subsequently starred in A Night in the Life of Jimmy Reardon in addition to three other films by the time she turned 18. Afterwards, she quit acting to continue her studies at Harvard University from where she later graduated in 1992 with a degree in Psychology and several certificates of honor. She later returned to acting and even though she is still active in the industry, Meredith Salenger also practices her other profession. When she is not acting, she works as a mediator for the Agency for Dispute Resolution, Beverly Hills, California. The super talented actress has been in the American movie industry for more than three decades and within this period, she has made millions of dollars. There is, however, no current reliable record of Meredith Slenger’s net worth. Different online reports have nevertheless, estimated it to be around $2 to $3 million while that of her husband is said to be $14 million. Meredith Salenger was born into the Jewish family of Dorothy and Gary Salenger, an interior designer and a dentist respectively. She is married to Patton Oswalt, a bundle of talents who works in different capacities in the entertainment industry as an actor, stand-up comedian, writer, and voice actor. He has appeared in a lot of movies and television shows some of which include the series The King of Queens and Agents of S.H.I.E.L.D. and also the 2011 film Young Adult and Ratatouille (2007), in which he was the voice of the character Remy. A successful comedian, Patton has featured in a total of 6 stand-up specials so far and has won two major awards including a Primetime Emmy Award and a Grammy Award. While the first was for Outstanding Writing for a Variety Special, the second was for his 2016 Netflix special, Patton Oswalt: Talking for Clapping. On Wednesday, November 15, 2017, Patton spoke of how he met Meredith Salenger during an appearance on Jimmy Kimmel Live!, saying they met online because they were mutual friends with actress Martha Plimpton. The latter organised a dinner party and invited both of them but Patton Oswalt was unable to make it. However, Meredith sent him a message on Facebook the next day, being February 28, 2017, telling him he had missed out on some very wonderful lasagna. From then onwards, their communication continued. According to the actress, when they first began talking, there was nothing to it until she started to know more about him. Meanwhile, Patton was first married to Michelle McNamara, who had died in her sleep in April 2016, roughly ten months before he started talking with Meredith. Having discovered that she shared about 15 mutual friends with Patton’s late wife, including her best friend since 7th grade, Meredith called the said friend, querying her about Michelle and received positive feedback. The duo continued their online friendship and never met face to face until May 20, 2017. When she met Patton and his only child from his first marriage, Alice, it felt so right that even though she never thought she would ever get married, she could not help but fall head over heels in love. The lovebirds eventually tied the knot on the 4th of November 2017, at the Jim Henson Studios, Los Angeles, in the presence of family and friends, with Patton’s daughter as the flower girl.